There are four different grades of sweetness according to German and EU wine law: dry, semi-dry, semisweet and sweet, in addition, one also finds the term feinherb. 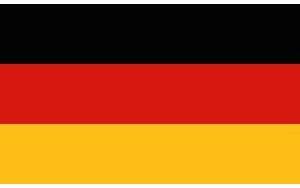 A term probably only used in Germany, which should convey to the consumer that the wine has a fine, slightly herb note, even though or just because it is not dry. In various wine lexica it can be read that a feinherb wine, such as a semi-dry one, has a residual sugar content of 9 to 18 g / l, whereby the sugar may not be more than 10 g / l above the acidity. This is true for many feinherb wines, but not for everyone. The taste impression of the feinherb is in the foreground, which is why sometimes more sugar in the wine can be more, as long as this does not counteract the taste impression of feinherb, up to 25 g / l are quite normal, a few wines seem to be still feinherb, even with still more sugar. Although the wine appears to be barely semi-dry, yet the sugar content could be above the limit, – with an alcohol content of only 9% by volume for an Kabinett wine this could certainly be possible. The tasted wine, a Riesling Kabinett feinherb 2016 comes from the winery Molitor from the vine location Zeltinger Himmelreich. 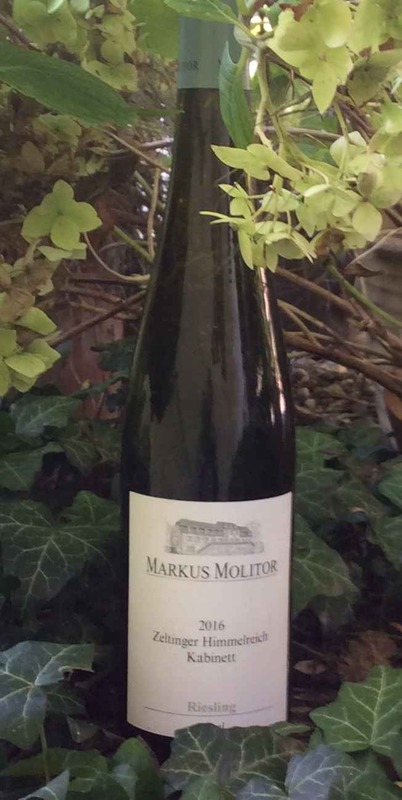 Markus Molitor focuses exclusively on spontaneous fermentation by natural yeasts and excludes in the vinification fining agent, enzymes or other aids completely. The winery cultivates in the weathered slate soils of the Zeltinger Himmelreich predominantly the steep locations. The gray-green coulured capsules, which characterizes the feinherb wines of this winery are inspired by the slate soils. Fruity with notes of stone fruit, ripe apples and lime, juicy on the palate, mineral-salty, stony, delicately vegetal, with light peppery spiciness, piquant acidity. Excellent, very elegant wine with a fantastic, exceptionally long, very stimulating finish.